We may use and disclose your medical information for payment purposes. A bill may be sent to you or a third-party payer. The information on or accompanying the bill may include your medical information. 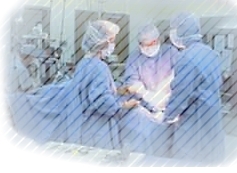 For Health Care Operations: We may use and disclose your medical information for our health care operations. This might include measuring and improving quality, evaluating the performance of employees, conducting training programs, and getting the accreditation, certificates, licenses and credentials we need to serve you. In addition to using and disclosing your medical information for treatment, payment, and health care opera->ns, we may use and disclose medical information for e following purposes. We may use and disclose medical information to notify nor help notify: a family member, your personal representative or another person responsible for your care. We will share information about your location, general condition, or death. If you are present, we will get your permission if possible before we share, or give you the opportunity to refuse permission. In case of emergency, and if you ire not able to give or refuse permission, we will share only the health information that is directly necessary for your health care, according to our professional judgment. We will also use our professional judgment to make decisions in your best interest about allowing someone to pick up medicine, med-cal supplies, x-ray or medical information for you. We may disclose medical information in response to a court or administrative order, subpoena, discovery request, or other lawful process, under certain circumstances. Under limited circumstances, such as a court order, warrant, or grand jury subpoena, we nay share your medical information with law enforcement officials. We may share limited information with a law enforcement official concerning the medical information of a suspect, fugitive, material witness, crime victim or missing person. We may share the medical information of an inmate or other person in lawful custody with a law enforcement official or correctional institution under certain circumstances. As required by law, we may disclose your medical information to public health or legal authorities charged with preventing or controlling disease, injury or disability, including child abuse or neglect. We nay also disclose your medical information to persons subject to jurisdiction of the Food and Drug Administration for purposes of reporting adverse events associated with product defects or problems, o enable product recalls, repairs or replacements, to rack products, or to conduct activities required by the Food and Drug Administration. We may also, when we are authorized by law to do so, notify a person who may have been exposed to a communicable disease or otherwise be at risk of contracting or spreading a disease or condition. 1. Look at or get copies of certain parts of your medical information. You may request that we provide copies in a format other than photocopies. We will use the format you request unless it is not practical for us to do so. You must make your request in writing. You may ask the receptionist for the form needed to request access. There may be charges for copying and for postage if you want the copies mailed to you. Ask the receptionist about our fee structure. If you have any questions about this notice, please ask the receptionist to speak to our Privacy Officer. If you think that we may have violated your privacy rights, you may speak to our Privacy Officer and submit a written complaint. To take either action, please inform the receptionist that you wish to contact the Privacy Officer or request a complaint form. You may submit a written complaint to the U.S. Department of Health and Human Services; we will provide you with the address to file your complaint. We will not retaliate in any way if you choose to file a complaint.